Thomas Janicki is the Gordon Hurlbert / Progress Energy Distinguished Professor of Information Systems at UNC Wilmington, He is the coordinator of the corporate advisory board for the IS and MS CSIS programs which brings 25 regional IT professionals together to improve the quality of the UNCW students and programs. 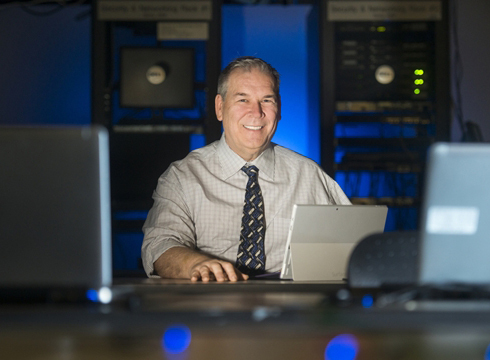 He is also the coordinator of the annual Wilmington IT Exchange and Conference (WITX) each spring which brings together local professionals, students and faculty to exchange leading research and practical applications. His primary research area involves utilizing web-based technologies to enhance the traditional classroom-learning environment. He is past president of the international Information Systems Educators Special Interest Group for the Association of Information Technology Professionals and editor of two journals. Tuesdays - 2 to 4 p.m.
Wednesdays - 2 to 4 p.m.
Thursdays -2 to 4 p.m.
February 12 - 5:15 p.m.